Hey party peeps! 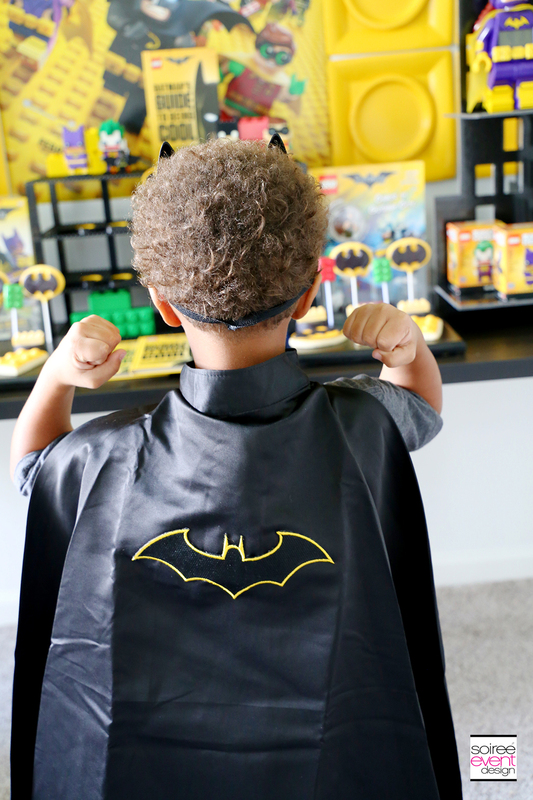 When hosting a LEGO Batman Party, one of my favorite things is to set up a LEGO BATMAN PARTY PHOTO BOOTH where guests can dress up in Batman costumes, capes, masks and accessories and transform into their favorite superheros! This really gets guests into the theme of the party and the photos are just adorable! 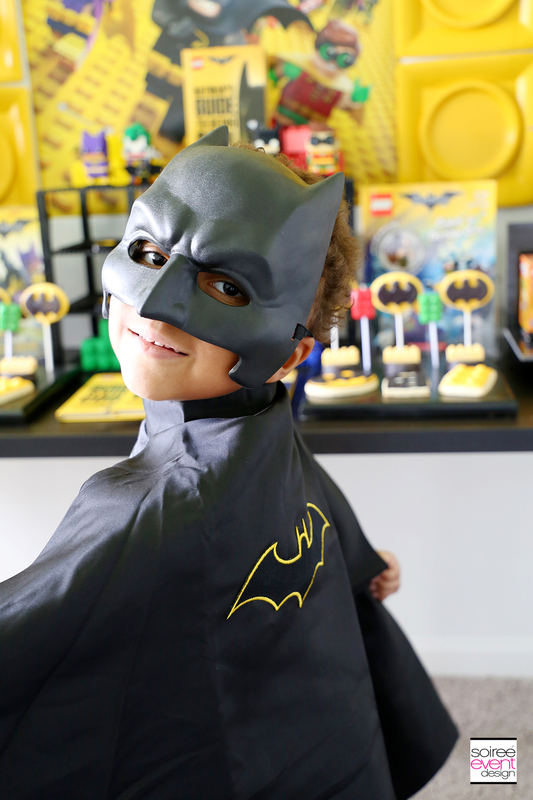 Be sure to check out the full LEGO Batman Party for more LEGO Batman Party Ideas! 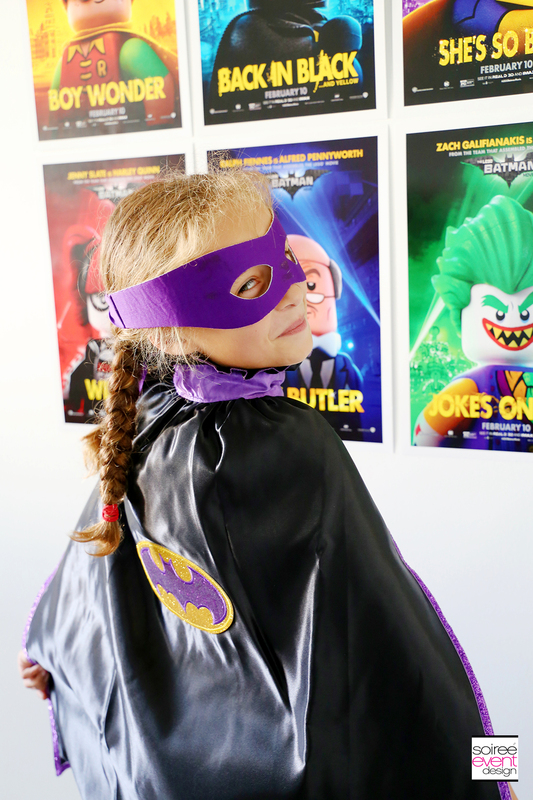 SET THE SCENE – LEGO BATMAN PARTY PHOTO BOOTH! 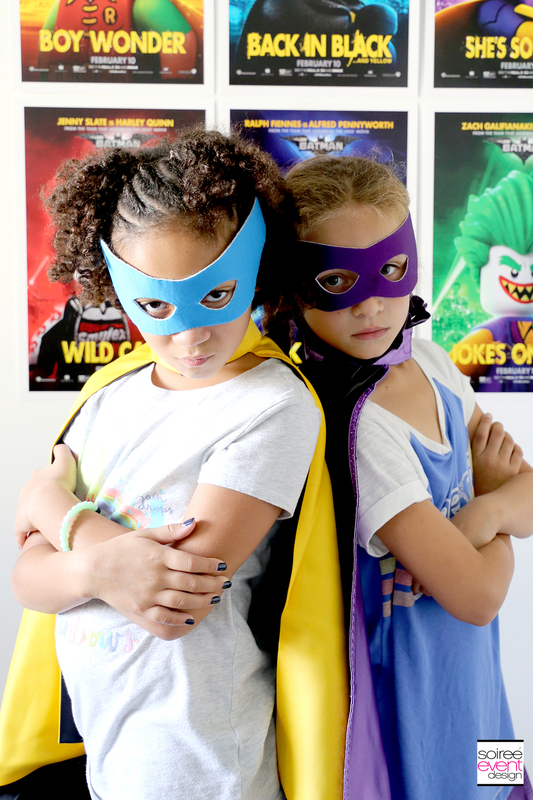 There is something I just can’t resist about little kids dressing up in costumes that match a themed party. It sets the scene for the entire party. The kids just really get into it and the photo opportunities are just adorable! 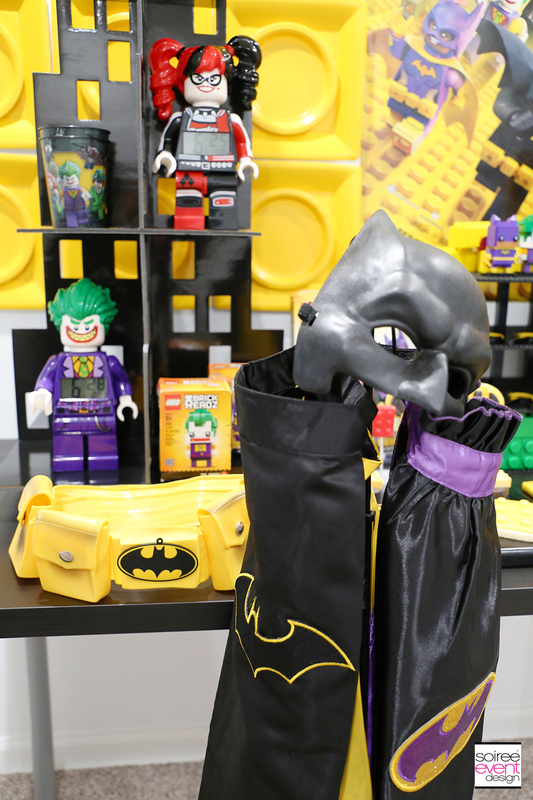 Oriental Trading has lots of kids costumes to match almost any theme like Batman, Robin and Batgirl capes, masks and accessories. The costumes can also serve as party favors for each guest to take home after the party. GIRLFRIEND TIP: Have your guests change in to the costumes and take your photos when they arrive. That way you get the best photos before they start running around and definitely BEFORE they eat cake or any other food/drink that could stain their mouths. Y’all know what I’m talking about. How many of us have photos of our kids smiling with blue teeth! LOL! 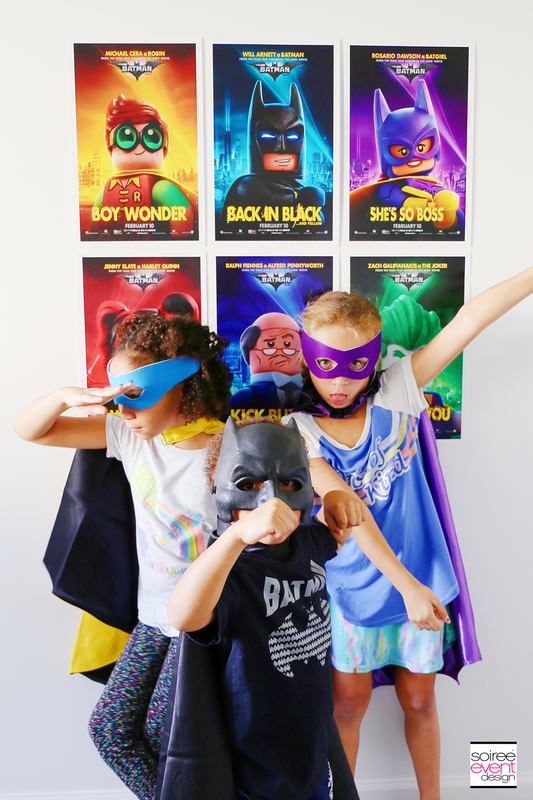 CREATE A LEGO BATMAN PARTY PHOTO BOOTH BACKDROP! 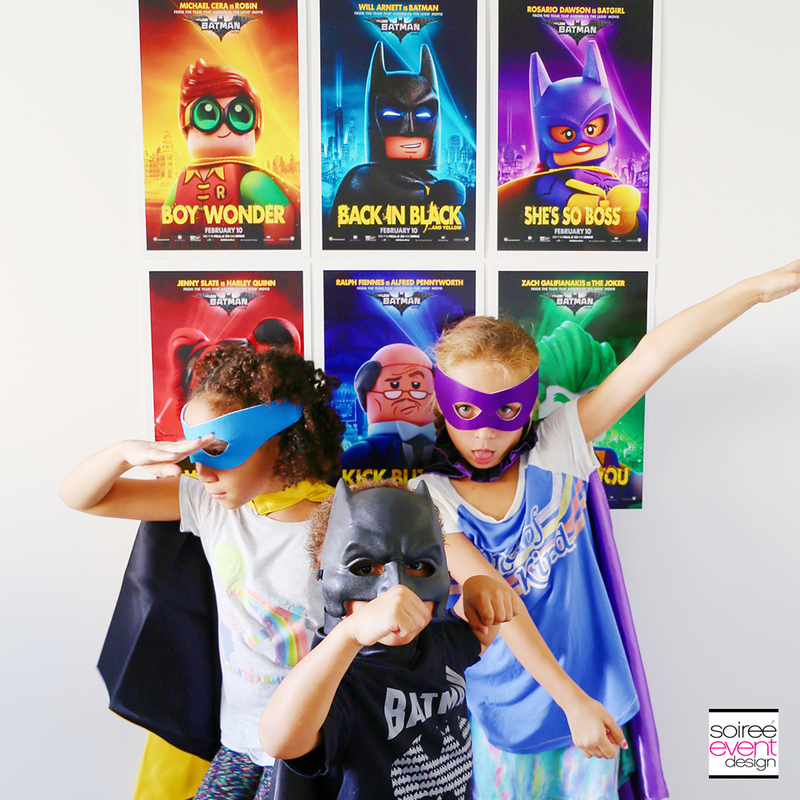 When creating a photo booth backdrop, you don’t only have to use vinyl backdrops that require a banner stand. 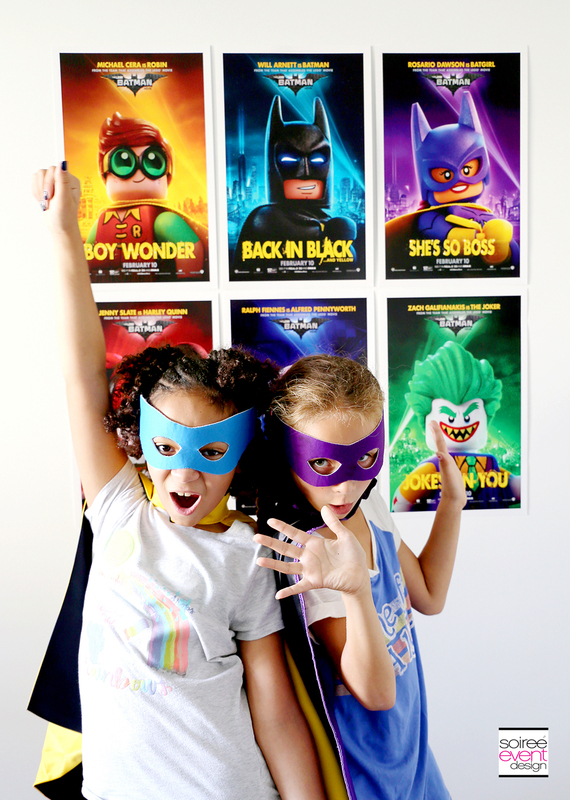 Instead, get creative and find an empty wall in your house and use themed posters instead. 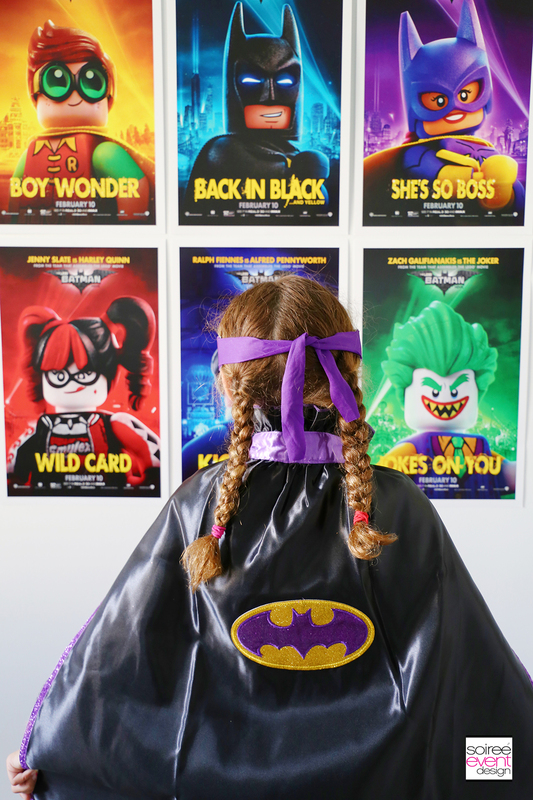 To create this LEGO Batman Party Photo Booth Backdrop I placed several LEGO Batman movie character posters side by side to on the wall to create a backdrop. GIRLFRIEND TIP: Use painters tape to stick paper decorations to your walls for a party. It is strong enough to hold your paper decor on the walls and removes without residue or damaging your walls. GIRLFRIEND TIP: If space is an issue and you don’t have an empty wall in your party space, then use an area that you already have decorated for your party like this LEGO Batman Party Dessert Table. Have your guests stand in front of it and snap away! That’s it! 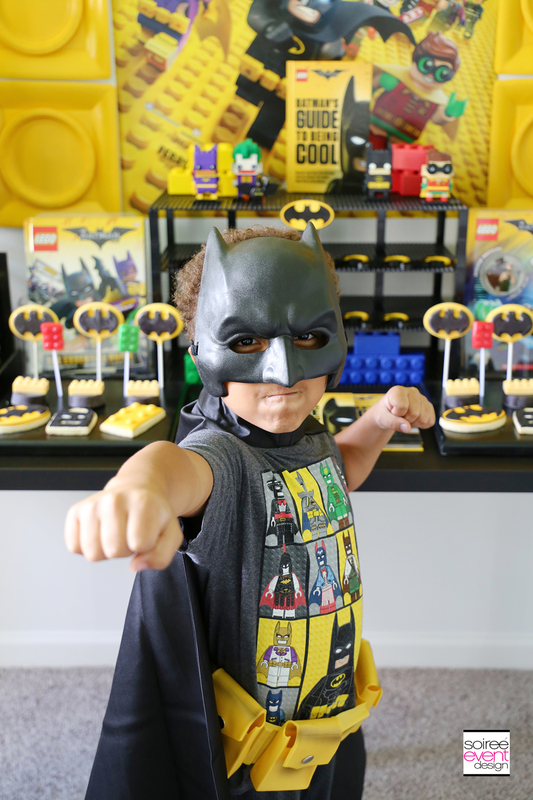 I hope this easy to make LEGO Batman Party Photo Booth has inspired you to host your own LEGO Batman Party. It would be perfect for a birthday party or even a kid-friendly Halloween party. I love this idea. 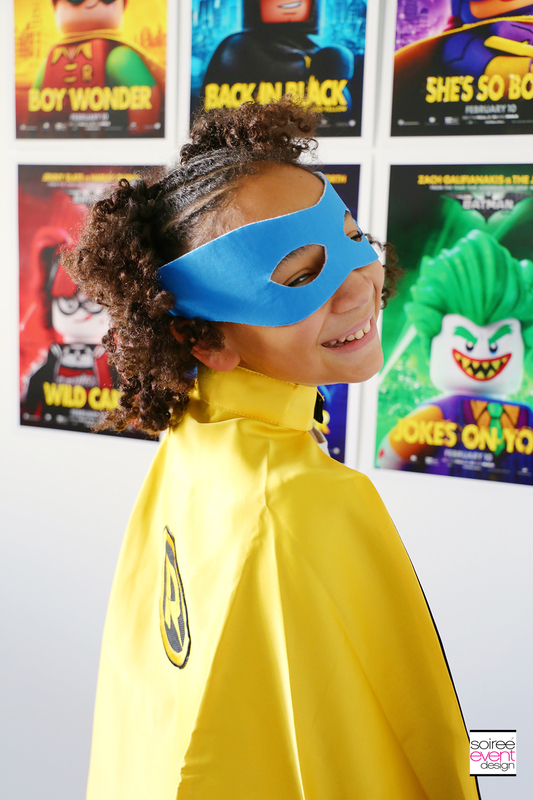 There are two things that kids love: LEGO and photo booths. I think my kids would love a party like this. Every kiddo’s dream party! I love this idea – how much fun does this look?! Love it. I love those backdrops! Posters I mean, I really thought each was a back drop. Such a cool fun way to add to a child’s birthday party! This looks like such a fun kid’s party! I would love to make some of them Lego treats! They are so cute! The kids looks so happy and fun. Love the Lego theme. How fun is this? This was the first movie my son saw with us in the theater. We love it! This sounds like a blast! 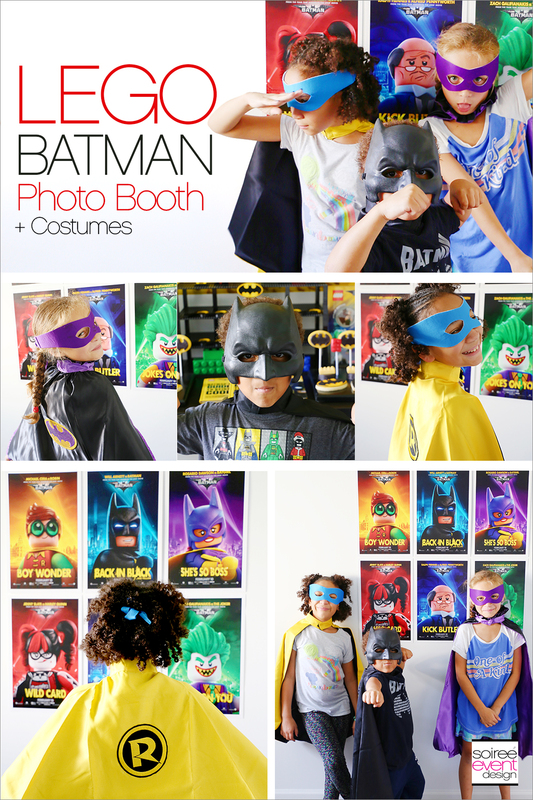 I can’t think of any little boy or girl who wouldn’t enjoy dressing up for a party photo booth! What a cute idea! My oldest son loves this movie! We just saw it again a few weeks ago. He would enjoy this idea! What great ideas! Using painter’s tape is an A+ recommendation because I’ve Gotten the short end of the stick with parties and tape. This party looks amazing! I love the backdrop. Batman is such a fun party theme. That looks like so much fun. What a great idea for a party. I’m sure my girls would really enjoy this as well. What a fun birthday theme. I’m sure some of the adults would love to have their pics taken too. This is FANTASTIC! 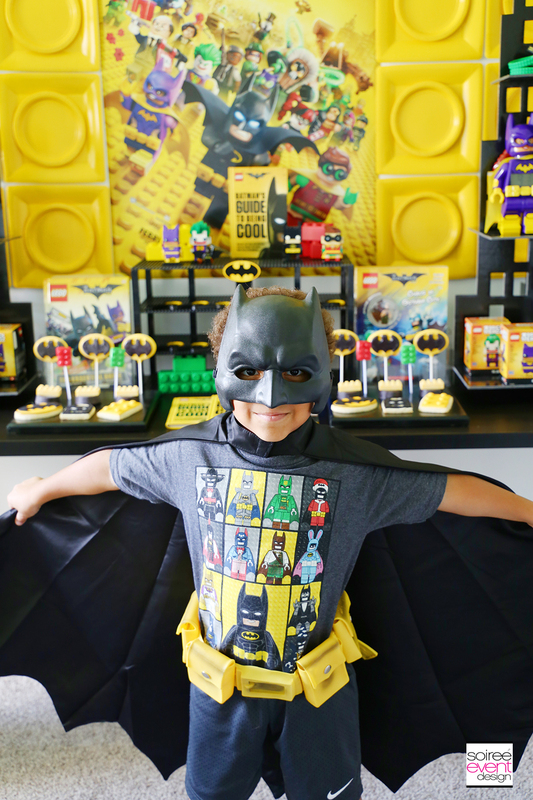 My boys are obsessed with LEGO Batman right now and they would get a kick out of this! 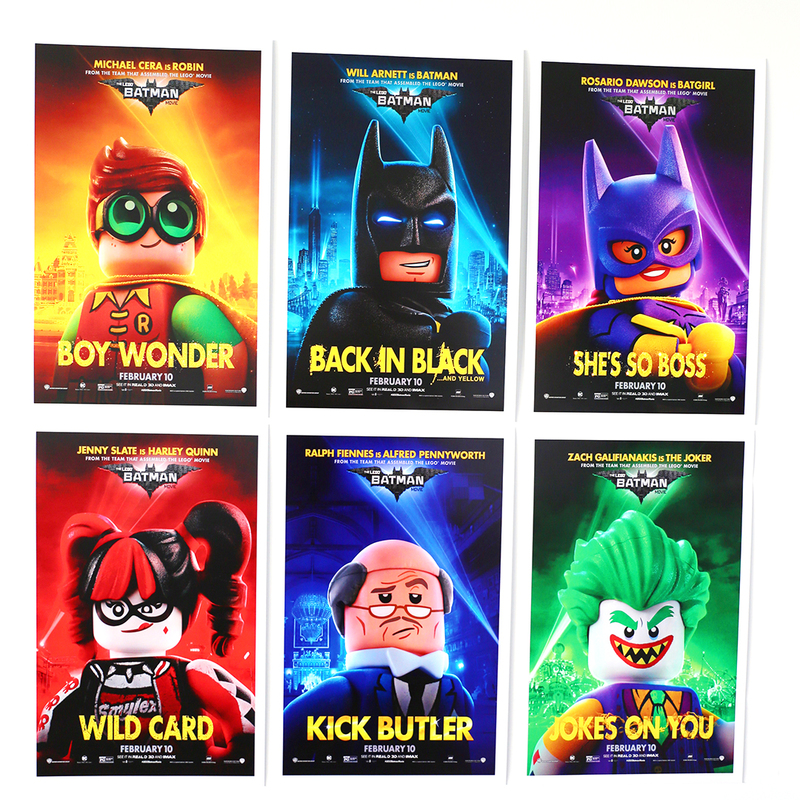 I love Lego Batman. It is one of my favorites in the Lego franchise. This looks like the perfect fun time for a kids party. That is such a cute idea for a kids themed party! I love the creativity that went into putting together the photo booth! this is so cute! my daughter is 5 and would love this. 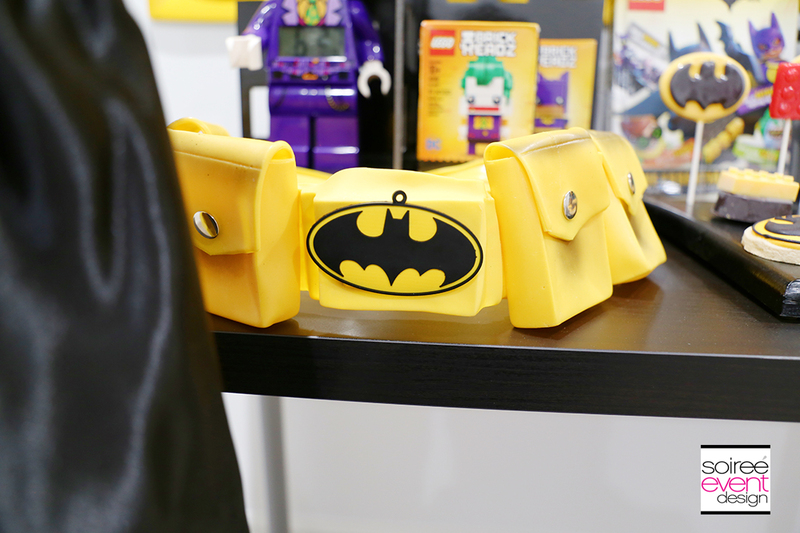 who doesn’t love lego batman! This is really fun and so cool! Kids will surely enjoy this! Such a great idea for kids party! Awesome Batman concept theme party. The kids looks very happy and enjoyed themselves. Thank you for this great idea. Aw I love this what a cute DIY! Oriental Trading is the best! This party is so adorable! And the kids look like they’re having so much fun!! This is such a great idea! I know my kids and their friends would go nuts for this! this is such a cute idea for the party, amazingly fun for the kids !!!! Batman party? I can do this on my little boy’s party! Thanks for sharing. What a cute concept for a kids birthday party. My little brother will be 4 soon and my mom was thinking of a nice theme for him. I’ll definitely share this with her. What a cute idea for a theme party. My nephew will sure love this for his upcoming birthday. 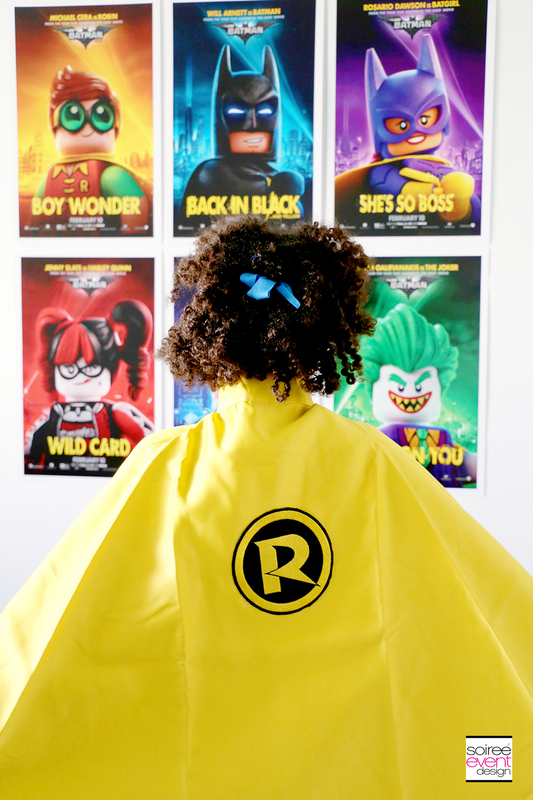 My youngest daughter is a huge super hero fan. She would love this! The pictures from a party like this must be amazing. Batman is awesome! Oh yeah, this is perfect. 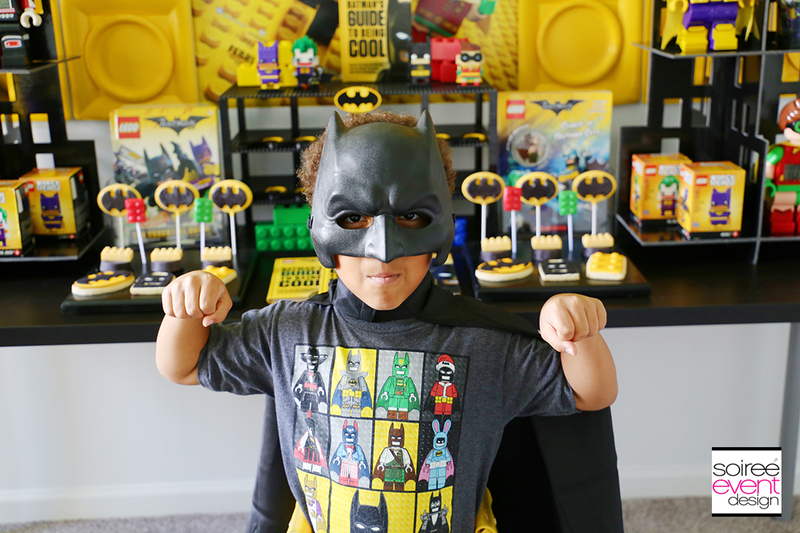 My son has a b/day coming up and he LOVES Lego Batman. I’m going to see what I can rustle up! Now this is such a cool idea! My little one is really into all the super heroes right now. The kids really love their Batman! I used to watch it as a kid myself. How adorable! This would be such an awesome party setup for kids!! I love this idea. I have a young son who is super creative and would probably love to put something like this together. This is such great ideas. I love the party setup for kids. Thanks for sharing. This is most adorable thing I’ve seen! My son would have loved this when he was their age! I love photo booth great addition for any party. Kids and adults always enjoy it and you can be creative to lots of selfie opp. Looks like such a fun day, and they all look so cute in their outfits. My kids love LEGO Batman too. Your themed parties always make me excited to have kids one day and throw them bashes. This is so amazing and fun you are always great with details in a themed bash! This will be great for my upcoming events. I don’t have to spend too much just to have a backdrop or wall decorated. Thanks for this nice idea. You had the most adorable models ever! Love the idea and your tips were easy enough to follow for any theme. Thanks!